Scotland is ready to start construction of the world's largest floating wind farm off its coast. As per media reports, Statoil, the Norwegian energy company, obtained a seabed lease on 17 May for the ambitious project which will reportedly have 6MW turbines operating in the North Sea. The project is expected to generate electricity by the end of 2017. The company has already operated a single turbine off Norway. As per the report published in the Guardian, the Hywind is a leading global company, which is developing flotillas of floating wind turbines aimed to harness wind energy on a colossal scale. These turbines are reportedly more efficient that the existing offshore wind turbines which flounder on heavy costs when depth is greater than 40 metres. More than 40 such projects around the world are reportedly in various stages of development. The concept in some cases derives inspiration from rugged oil and gas rigs. The Hywind windfarm will reportedly float 15 miles off Scotland's east coast by Peterhead. 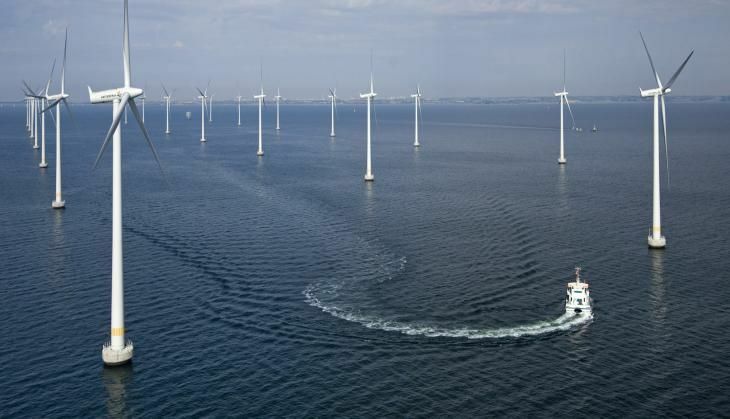 The base of each turbine is a floating steel tube containing ballast, which is tethered to the sea bed. "We are very pleased to develop this project in Scotland, in a region with a huge wind resource and an experienced supply chain from oil and gas," said Leif Delp, project director for the Hywind Scotland project told the Guardian. "Through the hard work of industry and supportive government policies, the UK and Scotland is taking a position at the forefront of developing offshore wind as a competitive new energy source." As per experts floating offshore wind is an incredible source of energy. Ronnie Quinn, general manager of the Crown Estate's Scotland portfolio, told the Guardian: "We've been able to support the development of emerging technologies, from floating wind to tidal current energy, placing Scotland in a very strong position to secure global investment in low carbon energy."